One of sociology’s most important missions is giving voice to those whose experiences are typically otherwise blunted, marginalized, or simply ignored. 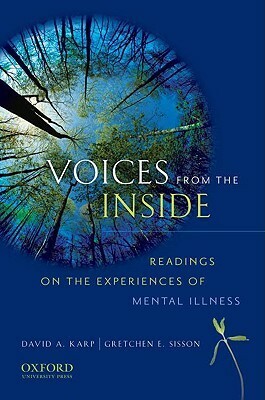 Featuring memorable, first-person accounts of mentally ill individuals, Voices from the Inside: Readings on the Experiences of Mental Illness allows students to connect directly with real-life “experts” who know mental illness all too intimately. This unique anthology addresses a variety of central topics surrounding mental illness, including suicide, hospitalization, the meanings of medication, the experiences of caregivers, and the stigma attached to mental illness. Pat and Sarah had long been friends, not just brother and sister. They supported each other, shared music and movies, and confided in each other as they went through the many challenging stages of adolescence. But something began to change in Pat. He was convinced people were watching him, spying on him. Once outgoing and sociable, he began to withdraw into a world of his own, on the inside, where social engagement was not necessary nor desired. He stopped taking care of his personal hygiene. Conversation became increasingly difficult. After a series of visits with psychologists, he was diagnosed at first with bi-polar disorder, and then, more accurately with schizophrenia with paranoid delusions. This is the story of one sister s fight to convince her family that her brother needed help. 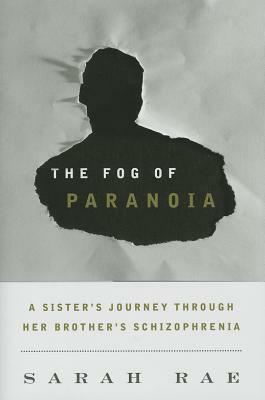 At the same time, it is the story of her own struggles with anxiety and depression, and coping with the changes in her life as her brother suffered at home. Finally, it is the story of one family’s acceptance of a difficult diagnosis and their embracing of the child and brother they have always known and loved. For Hannah Westberg, life has been one big emotional roller coaster. As a girl, her mother was in and out of mental hospitals, so when it was her turn to visit the psych ward following a suicide attempt the summer after eighth grade, she had an idea of what she was in for. But that was only the beginning of Hannah’s journey. 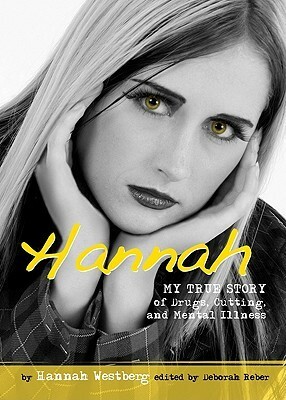 Over the next five years, Hannah has engaged in dangerous behaviors–from pill popping and excessive dieting to cutting–and paid a high price. Her depression, self-harm, and suicidal tendencies have landed her in rehab and therapy and with a diagnosis of borderline personality disorder. But though she may have a label for her mental illness and tools for coping, for Hannah, life is still something she takes one day at a time. Where is God in the suffering of a mentally ill person? What happens to the soul when the mind is ill? 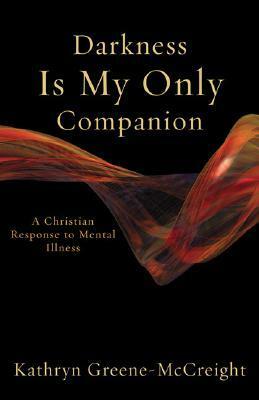 How are Christians to respond in the face of mental illness? In Darkness Is My Only Companion, Kathryn Greene-McCreight confronts these difficult questions raised by her own mental illness–bi-polar disorder. With brutal honesty, she tackles often avoided topics such as suicide, mental hospitals, and shock therapy. Greene-McCreight offers the reader everything from poignant and raw glimpses into the mind of a mentally ill person to practical and forthright advice for their friends, family, and clergy. Her voice is a comfort to those who suffer from mental illness and an invaluable resource for those who love and support them. 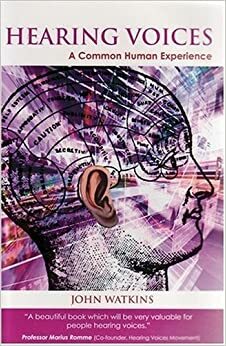 This book contains a wealth of information of great practical value to people who hear voices as well as to those who wish to broaden their understanding of this fascinating phenomenon. 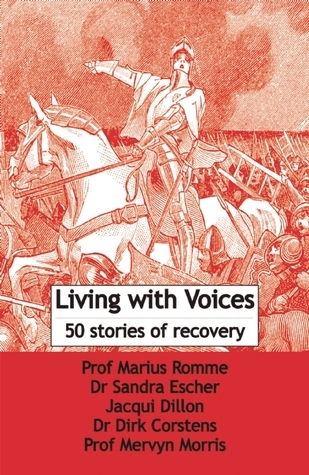 It includes a detailed description of a wide variety of voice experiences, an overview of theories which attempt to explain why they occur and a comprehensive set of practical strategies for dealing with unwanted or disturbing voices. 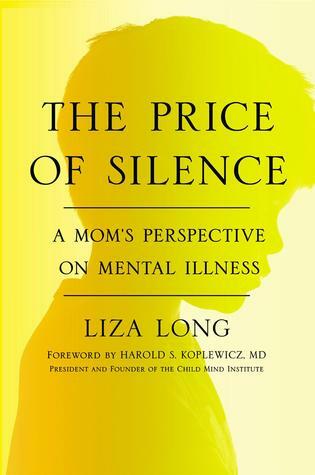 This book is a groundbreaking development in modern mental health because it recognizes the importance of the first hand experience. It also argues that hearing voices is not a sign of madness but a reaction to serious problems. 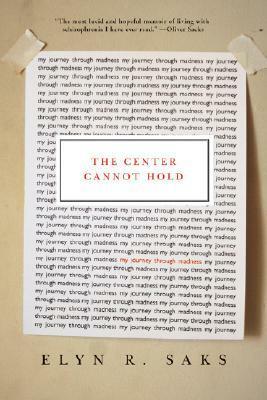 Among other things, this book shows those hearing voices that they are not alone. This is a must-read book for all concerned with mental health issues. In 1963, President John F. Kennedy began the federal mental health program. This book provides information about the closing of the institutions and the promise of community mental health centers. 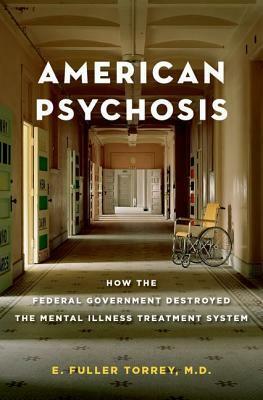 The responsibility of the State versus the Federal government in caring for the mentally ill, which has resulted in the current ineffective mental health system. At least one-third of the homeless are seriously mentally ill, jails and prisons are grossly overcrowded, largely because the seriously mentally ill constitute 20 percent of prisoners, and public facilities are overrun by untreated individuals. As Torrey argues, it is imperative to understand how we got here in order to move forward towards providing better care for the most vulnerable. Hollywood has stereotyped the schizophrenic. Prepare for your perceptions to be shattered. 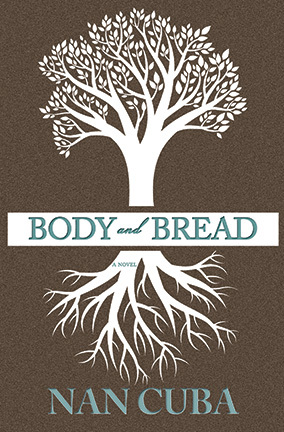 Penelope Baker grapples with schizophrenia. She has suffered losses, and her grief has deep and numerous shadows. Oliver Graham, utterly bereft, wrestles with guilt. He has suffered losses, and his grief has deep and numerous shadows. Leave of Absence unveils the complexity—and the humanity—underlying psychological struggles. Written with extraordinary perception into the thought processes of those dealing with mental illness, Leave of Absence is perfect for readers seeking an empathic depiction of grief, loss, and schizophrenia. Elyn Saks is a success by any measure: she’s an endowed professor at the prestigious University of Southern California Gould School of Law. She has managed to achieve this in spite of being diagnosed as schizophrenic and given a “grave” prognosis — and suffering the effects of her illness throughout her life. In The Center Cannot Hold, Elyn Saks discusses frankly and movingly the paranoia, the inability to tell imaginary fears from real ones, and the voices in her head insisting she do terrible things, as well as the many obstacles she overcame to become the woman she is today. It is destined to become a classic in the genre. Authors Mary Forsberg Weiland and Larkin Warren write about Mary’s experience as a highly paid fashion model and her marriage to rock star “Scott Weiland.” The book details her experiences with Bipolar Disorder and her drug abuse. 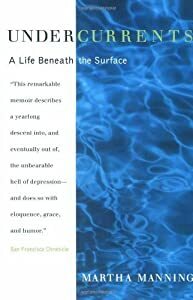 Written by Martha Manning, this remarkable memoir describes a yearlong descent into, and eventually out of, the unbearable hell of depression–and does so with eloquence, grace and humor. Soul Repair explores the idea and effect of moral injury on veterans, their families, and their communities. Although veterans make up only 7 percent of the U.S. population, they account for an alarming 20 percent of all suicides. Research by Veterans Administration health professionals and veterans’ own experiences now suggest an ancient but unaddressed wound of war may be a factor: moral injury. Brock and Lettini, who both grew up in families deeply affected by war, have been working closely with vets on what moral injury looks like, how vets cope with it, and what can be done to heal the damage inflicted on soldiers’ consciences. Told with a journalist’s ear for language and an eye for detail, Monkey Mind is one man’s story of a life inhibited by anxiety. Smith illustrates how his ancious responses led to missed opportunities, loss of employment, stress and alienation. Aaron Beck, the most influential doctor in modern psychotherapy, says that “Monkey Mind does for anxiety what William Styron’s Darkness Visible did for depression.” Neurologist and bestselling writer Oliver Sacks says, “I read Monkey Mind with admiration for its bravery and clarity. . . . I broke out into explosive laughter again and again.” Here, finally, comes relief and recognition to all those who want someone to put what they feel, or what their loved ones feel, into words. Years after her brother Sam’s suicide, Sarah Pelton remains unable to fully occupy her world without him in it. Now, as her family prepares to sell the family’s tenant farm, Sarah confronts the life Sam lived and the secrets he left behind. As she assembles the artifacts of her family’s history, images from her work as an anthropologist—images of sacrifice, ritual, and death—haunt her waking dreams.